Tong and I decided to team up again for the Pcomp final. 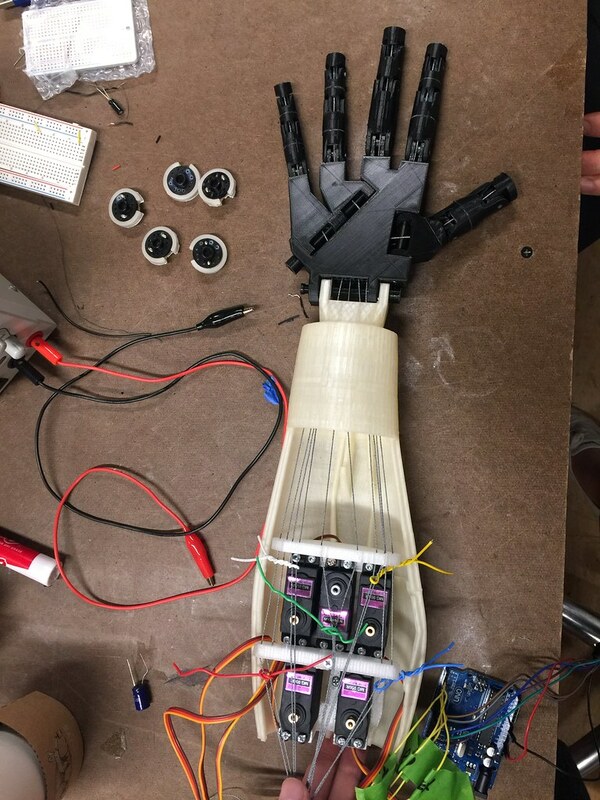 We want to continue exploring human-computer communication with robotic/humanoid arms, but in a larger context than rock, paper, scissors. Both of us are interested in how humans experience "connection" with computer devices, and how we can create that experience when users interact with these humanoid arms. 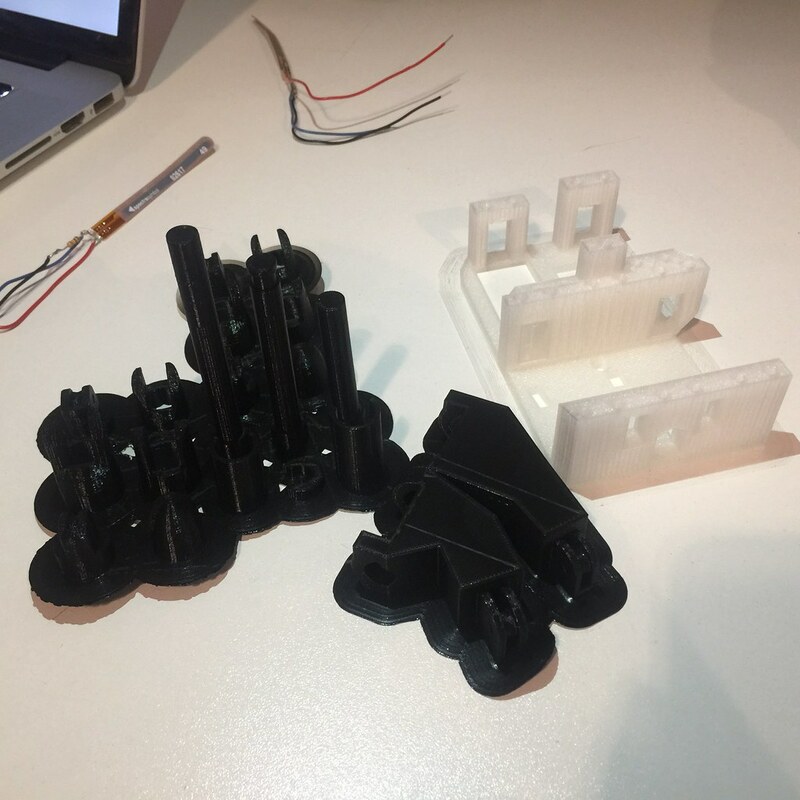 UPDATE (Nov 13): We spent the week after play testing finalizing our design, integrating the leap motion, and updating the hardware. 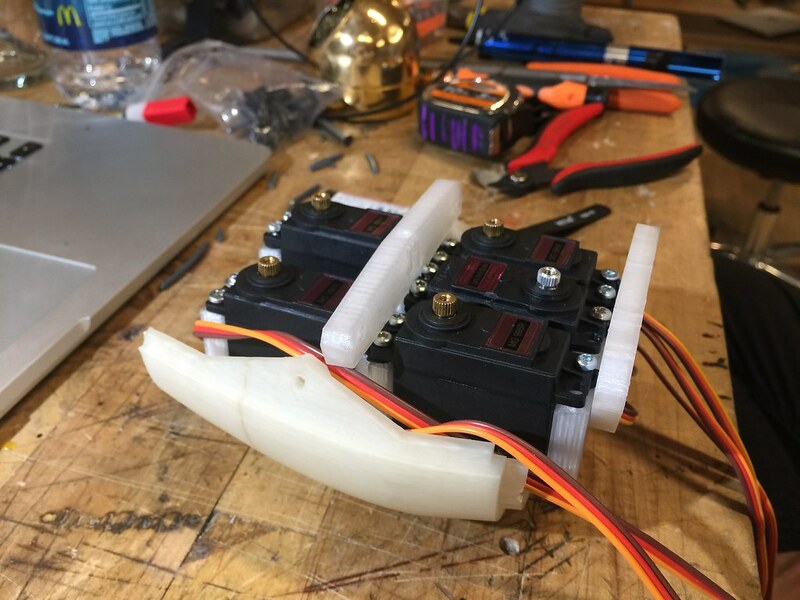 Tong posted a nice write up of our current design on her blog. 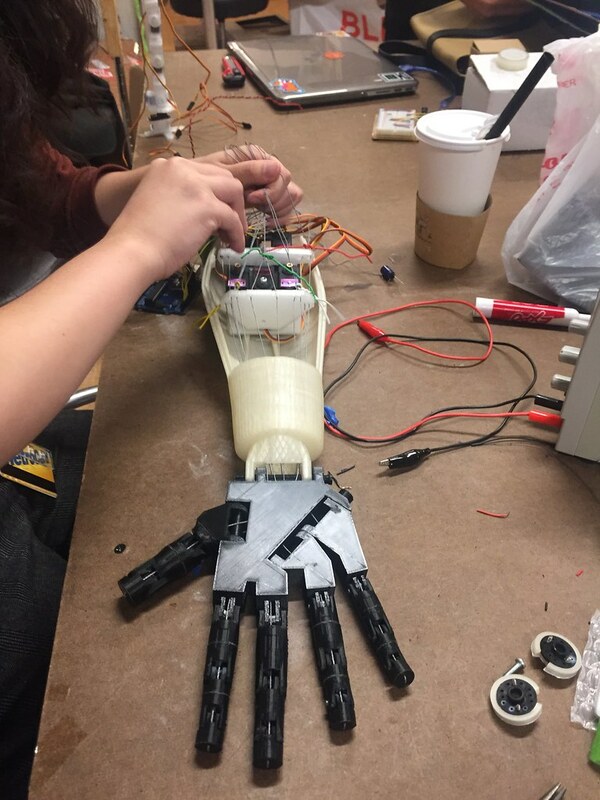 For the midterm, Tong Wu and I built an interactive installation that lets a person play “Rock, Paper, Scissors” against a robotic hand by wearing a glove outfitted with flex sensors. 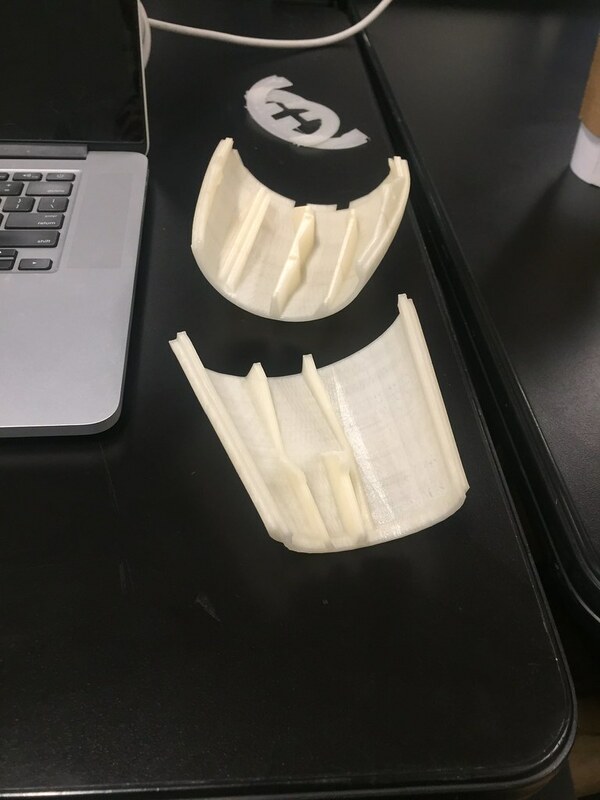 To build the hand and forearm, we used the models from InMoov, an open source project for a 3D printed life-size robot. 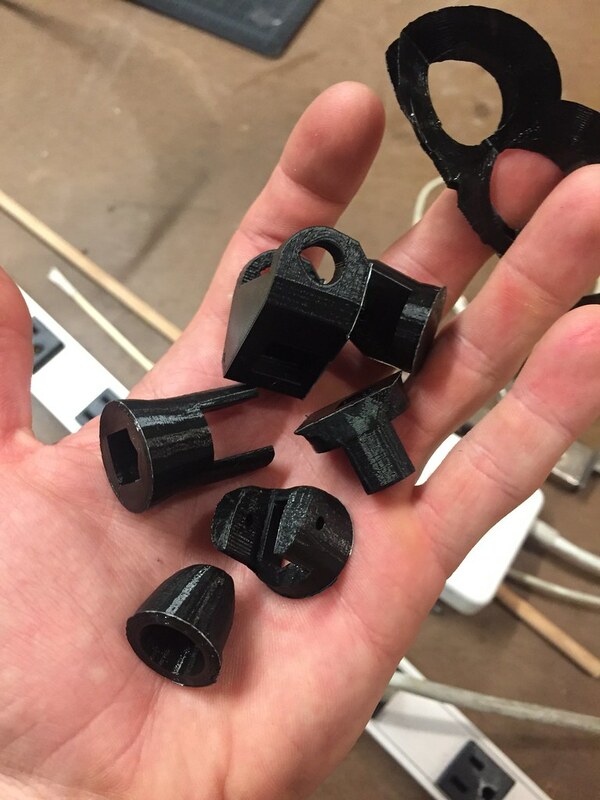 All of the joints are connect with PLA filament or 3D printed bolts. 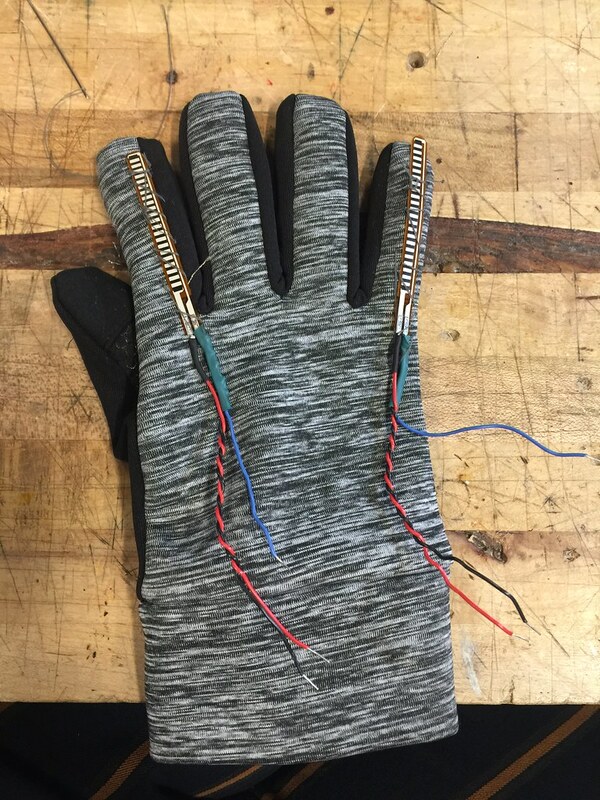 The finger movements are controlled by high strength fishing line, which runs down through the fingers/arm like tendons to a servo bed at the end. On the glove there are two flex sensors, a “start” button, and a “throw” button. 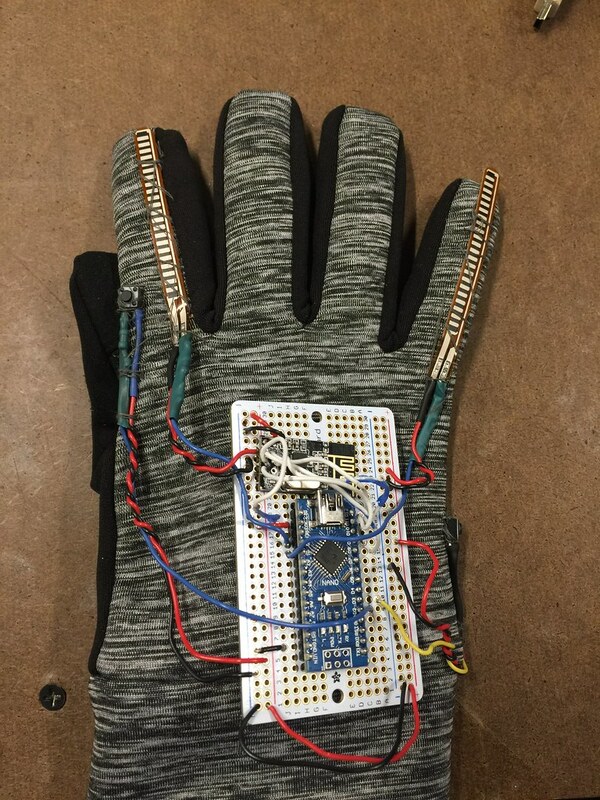 These are all sewed into a right-hand glove and connected to a Nano mounted on a perf board. 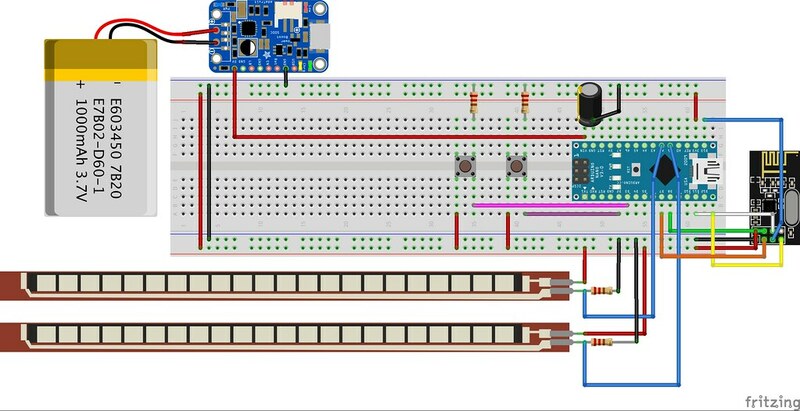 The Arduino is connected to a nRF24L01 wireless transceiver that talks to an identical transceiver on the robot hand. To play the game, the player puts on the glove, presses the “start" button, then press the “throw” button twice, and makes a hand gesture indicating his/her choice of rock, paper, or scissors.